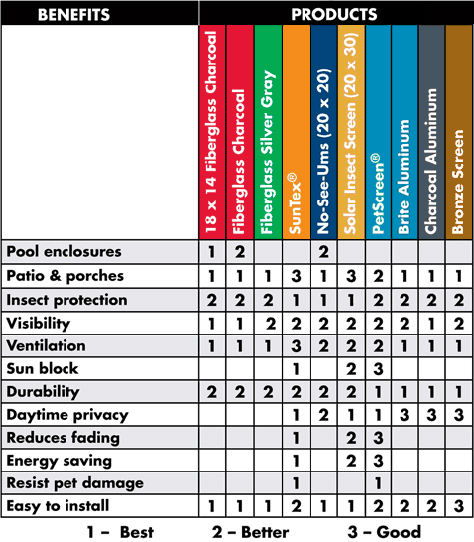 BetterVue® is improved visibility insect screen for windows, doors and porches. BetterVue® does for windows and doors what high-definition technology has done for television viewing; it maximizes the view by making it sharper and more brilliant. This innovative insect product enhances your view by making it sharper and more brilliant. BetterVue's finer mesh has been engineered to allow better airflow and improved insect protection while maintaining strength and durability.